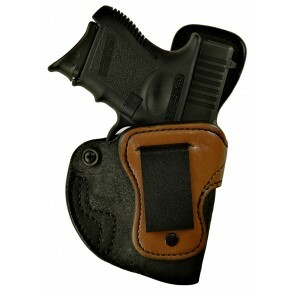 Our exotic gun holsters exhibit the quality and durability you expect from High Noon Holsters: quality leather, quality stitching, quality hardware. 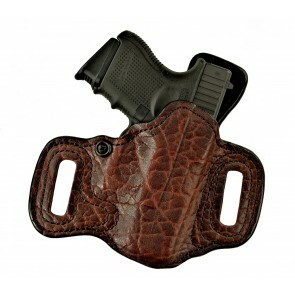 We add an element of exotic flair to the crafting of our classic holster styles, merging superior form AND function to fit your needs both practically and aesthetically. 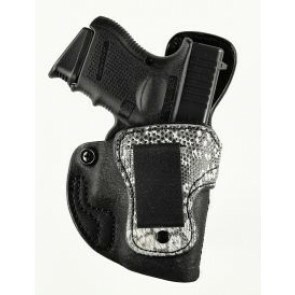 Our quality guarantees extend to our exotic range of holsters; an exotic holster is much more than a pretty face! 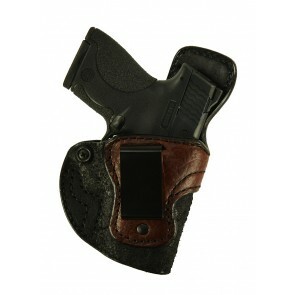 Each of our holsters is meticulously crafted to meet our standards of excellence. We stand behind our products, aiming for absolute customer satisfaction, every time. 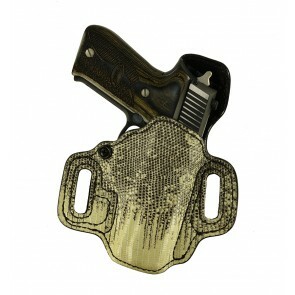 Like all High Noon holsters, our exotic gun holsters are handmade here in the U.S.A. from only the best materials. We offer an array of exotic gun holsters in a variety of finishes and styles. 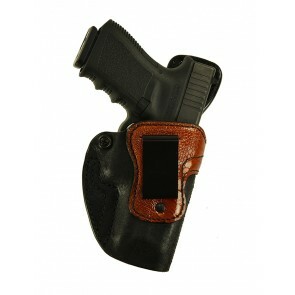 Our belt-sliding Slide Guard holster design is available in warm, rich bison leather and sleek shark skin. Our sturdy Down Under design is available in shark skin (affixed either with a durable metal clip or dual leather straps), ring lizard skin, ostrich leather, python skin, and kangaroo leather. 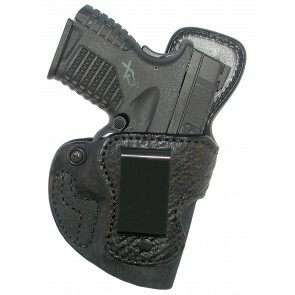 A range of customization options allows you to select the holster that will fit your brand and model of handgun perfectly; we also offer left- and right-handed versions of each of our holster designs. 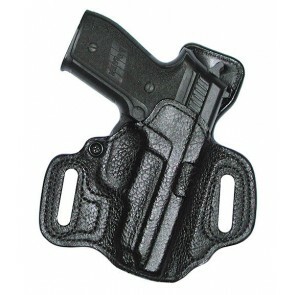 Whether intended for use in concealed-carrying, personal protection, or competitive shooting, any holster in our line of exotic gun holsters can be trusted to provide years of reliable service. Don't miss out! Choose the brand you trust and the style that sets you apart.